Esteem Mall is the first and the only mall in North Bengaluru which over the years has acquired the status of being a widely popular landmark in North Bengaluru. 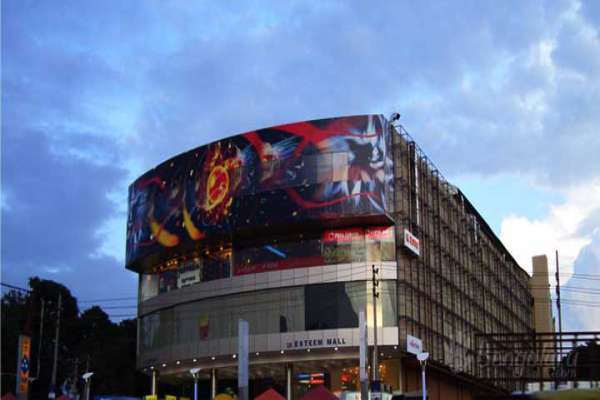 And, without doubt, Esteem Mall will for long be heralded as a trendsetter initiated by Esteem Group. The mall is on a sprawling 125000 Sqft of land and has four floors. The thought behind Esteem Mall was to congregate the world?s best in one place and give the customers a 360o novel experience in global shopping. Today, being home to some of the noted global brands in apparel, lifestyle, digital goods, etc, the thought stands completely vindicated. Replete with Food Courts, Coffee Shops and theme based Entertainment Zones, Esteem Mall is complete and is not found wanting in any sphere. A visit to Esteem Mall and one is transported to a totally different surreal space.